In the Strategic Defence and Security Review 2015, the Government committed the UK to increasing the number of combat aircraft that the MOD will operate and confirmed the intention to buy 5th generation fast jets. Additionally, as its NATO ally, the US Government has committed to the continued basing of combat aircraft within the UK. Resultantly, there is a projected growth of more capable combat aircraft planned to operate within the UK. To support this Government-directed expansion in military capability, there is a requirement for a larger area of segregated airspace to accommodate training requirements and thus ensure operational capability. 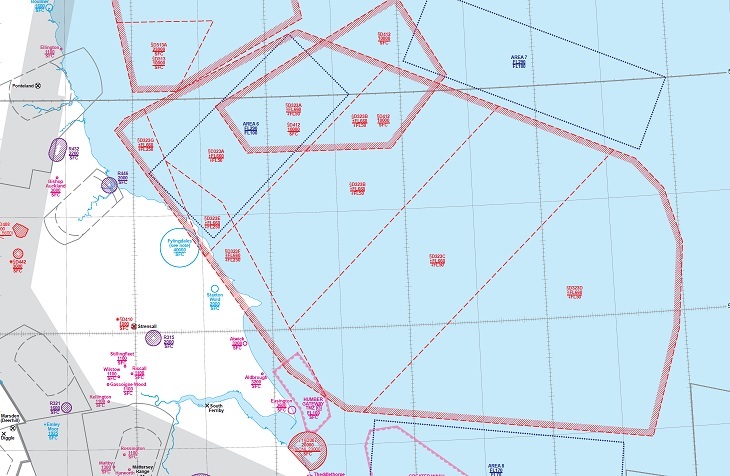 The MOD is proposing changes to the volume of airspace over the North sea known as EGD323. This area is activated through the UK Airspace Management Cell when military activity is required to be segregated from other airspace users. When not required for military activity, the airspace is available for other airspace users including Commercial Air Transport using published routes. This proposal has been developed through 18 months of engagement with NATS (the main Air Navigation Service Provider for the UK) and considers the impact on the UK en-route network. 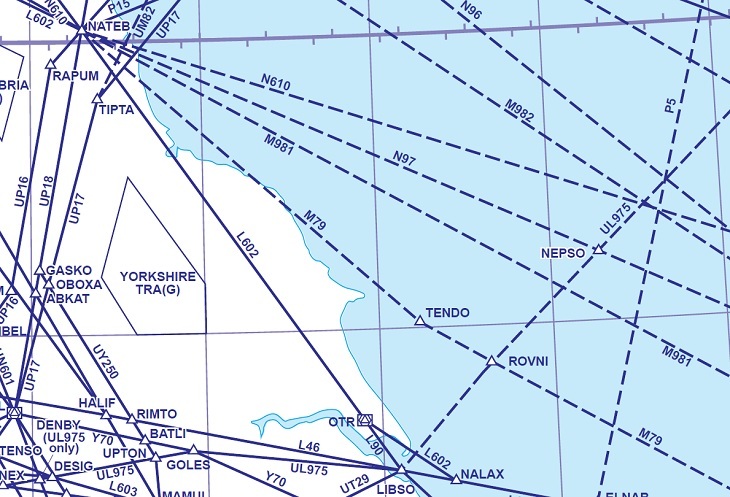 The CAA, as the UK’s independent aviation regulator, has responsibility for deciding whether to approve changes proposed to the design of airspace over the UK. The design of airspace includes new and established air traffic routes, the areas that commercial aircraft use to fly into and out of airports, and the airspace allocated for segregated military flights and General Aviation. 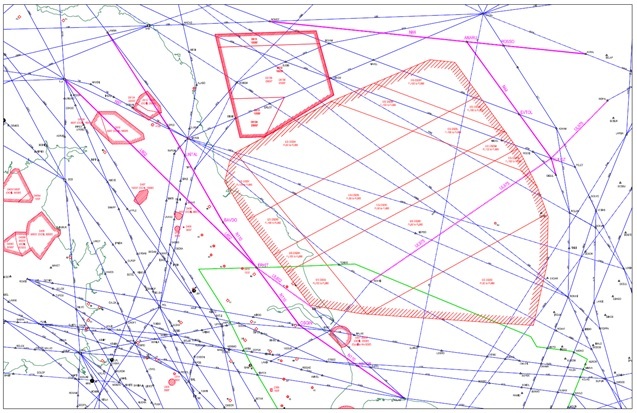 The CAA requires the sponsor of any permanent change to the published airspace design to follow the airspace change process as laid out in CAP1616. This MOD proposal has been determined by the CAA to be a Level M2 change; there are no proposed changes to airspace below 10,000ft (FL100) over the land, or 5,000ft (FL50) over the high seas. Proposed Redesign of EDG323 (red hatching) and New Routes (in pink). Please see the Consultation Document below for further details. Whilst this proposal has been developed over 18 months through engagement with key stakeholders, a process that was started prior to the introduction of CAP1616, the MOD would now like to consult with a broad community and your feedback on the proposal at this stage will help us explore the impacts of such a change. We invite considered responses supported by evidence where possible. The consultation has now closed. Thank you for your input. We will be assessing the feedback from all respondents and will publish a consultation response document prior to developing the formal proposal.